With the China International Import Expo (CIIE) fast approaching, some Western media have expressed skepticism about the fair's role in facilitating China's opening-up. Given their lack of understanding, it is necessary to make some points about the CIIE. First of all, the import fair shows China's willingness to open up its market. With the "America First" policy, the Trump administration has pursued trade protectionism, isolationism, and anti-globalization, especially in terms of bilateral trade and regional economic agreements. It is under this situation that China, as the world's second-largest economy, needs to come forward to promote globalization. From Davos to the CIIE, on many important global occasions, China has stuck to its position of supporting free trade and globalization. The import fair can also be seen as a positive response to the challenge of US trade protectionism. The CIIE will be of great significance to China's own development as facilitating opening-up and expanding imports will contribute to the high-quality growth of the nation's economy. China is still undergoing supply-side structural reform, which has entered a "deep-water zone." Internationally, protectionism is on the rise, with the escalating trade war between China and the US. Against this backdrop, the CIIE is essentially a move that's part of supply-side structural reform in the trade sector, which aims at creating high-quality imports. While China maintains deficits in the services trade with many developed countries, these are not large enough to offset its huge surpluses in goods trade with major trade partners. For this reason, the CIIE - which is aimed at narrowing trade gaps and promoting trade balances - comes at a time when some Western countries have complained about China's trade surpluses. In the meantime, the CIIE will also boost the upgrading of the domestic industrial structure. Expanding imports will facilitate the introduction of advanced technology and equipment, which are important inputs for China to enhance industrial competitiveness and promote the upgrading of the nation's industrial structure. With the world attaching great importance to the protection of intellectual property rights, high-tech imports and patents will be crucial to the improved competitiveness and structural upgrading of the Chinese economy. As for businesses, the CIIE is also a platform for better communication between Chinese and foreign companies. 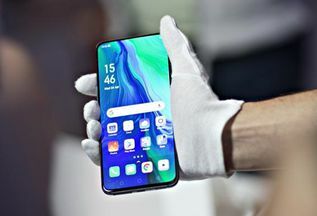 Foreign companies looking to sell their products in China will bring those items to the fair, and they will also see products from their peers. For Chinese buyers, the event is a platform where they can shop around to get the best deal. It is true that China needs to increase imports, but that doesn't mean that Chinese importers should place their orders without making comparisons. Based on market principles, it is totally justified for them to shop around and pick products that offer the best quality and cost advantage. With regard to media reports claiming that there hasn't been any sign of substantial market-opening policies, it should be pointed out that the market access issue requires consultation and participation from both the domestic and foreign sides. Loosening market access restrictions is a complicated issue that involves a wide range of concepts. It is unrealistic to hope China will completely open up its markets after the six-day CIIE. The premises for market access are China's domestic demand and whether the international market meet this demand. For instance, many Chinese companies are interested in buying products of strategic emerging industries, but developed countries refuse to sell these very products. For other products that don't fall into the "strategic emerging" category, either China's demand is limited, or Chinese buyers can get these items from developing countries in Africa or within China itself. In this sense, breakthroughs in market access must be based on friendly consultation, negotiation, communication and understanding under various mechanisms, including the CIIE platform. This is a two-way process, which cannot require action from the Chinese side only. Generally, China's opening-up is a step-by-step process that requires discussion and negotiation by domestic and foreign parties concerning what we need and what they can provide. Making these issues clear is exactly the purpose of the CIIE. Last but not least, the CIIE is not a one-time event. China plans to hold the import fair every year, as part of a long-term mechanism to facilitate the country's opening-up. China has taken the initiative by making the first step, and the participation of the foreign partners is also needed. The article was compiled by Global Times reporter Wang Jiamei based on an interview with Song Qing, a research fellow at the Shanghai Institutes for International Studies.